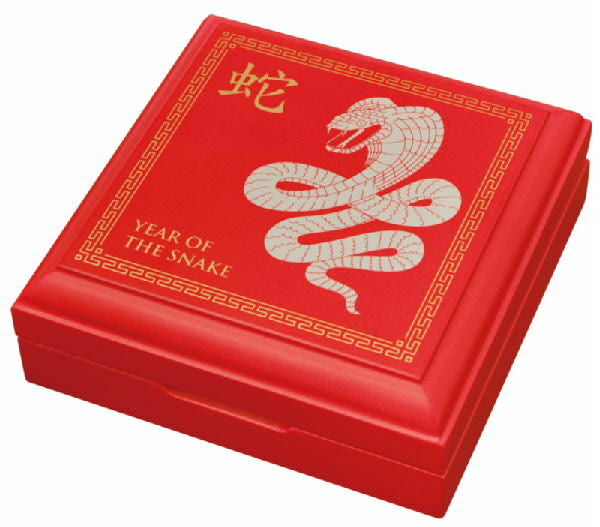 The Lunar Series Palaus began in 2012 with the Chinese Zodiac motif of the dragon. 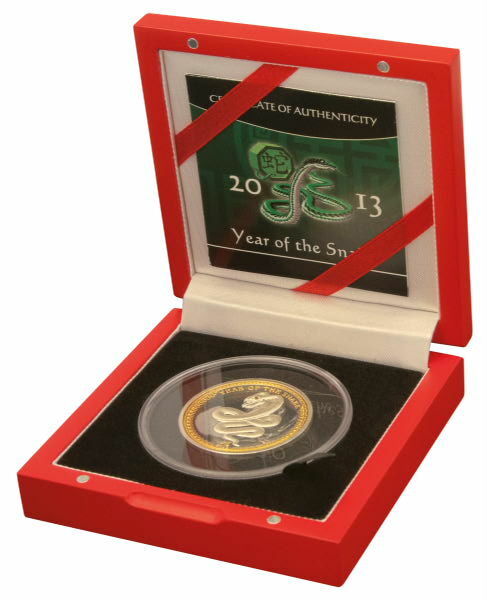 The second coin of the series in 2013 shows the Chinese Zodiac animal of the snake. It was minted with a beautiful high relief technique. 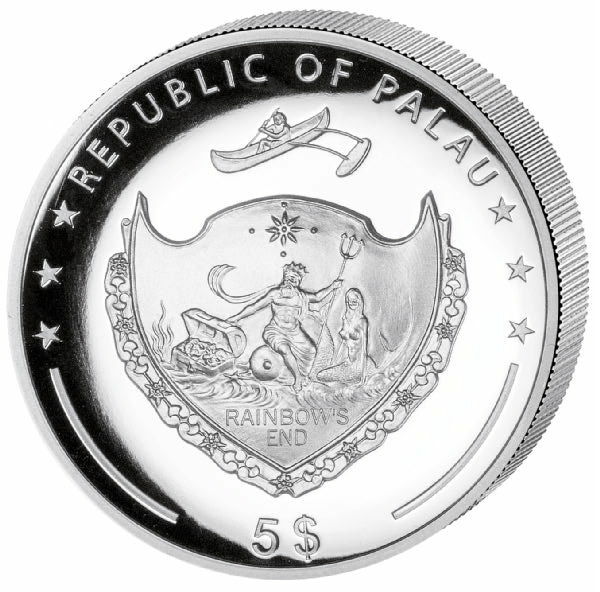 The coin has a weight of 1 oz (31.1 g) and was made of heavy 999/1000 silver. The highly innovative minting technique produces diameters of 35 mm. The beautiful ornaments on the front have been decorated by highly valuable 24 karat fine gold. A further highlight: the eye of the snake is represented by a magnificent red crystal.